If the Super Dreadnought were a fighter jet, the Broadside's would be a battleship! Think of them as beefier Super Dreadnoughts, designed for larger "bookshelf" speakers, also available in silver. 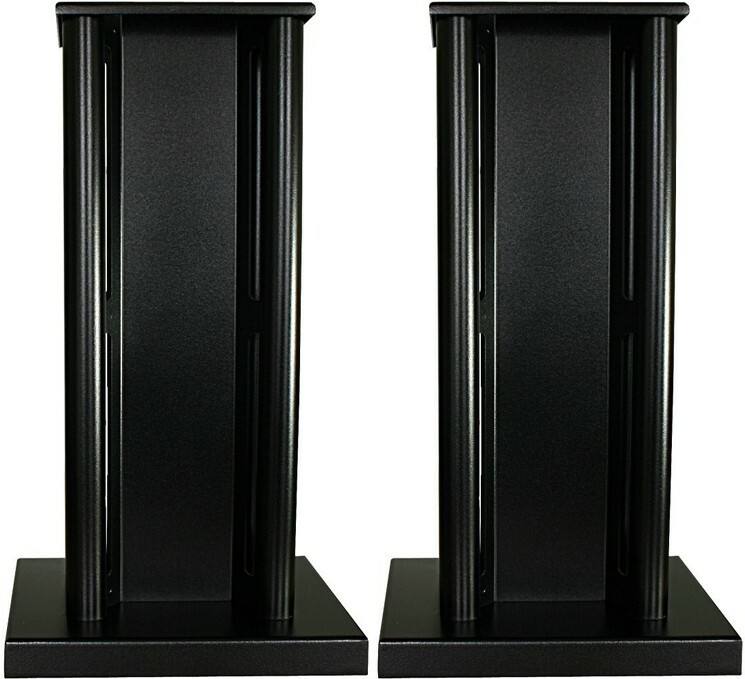 The award winning Partington Broadside speaker stands are a wider and deeper alternative to the Partington Super Dreadnoughts, designed to get the best sound from larger bookshelf speakers. They are just as good with stereo speakers as they are being used for front or rear speakers in a 5.1 or 7.1 channel home cinema system. Why settle for a hamburger, when you can have prime grade steak? The Broadsides have won plaudits and awards from almost every hi-fi magazine (scroll down to read the reviews) and What Hi-Fi? magazine even said "the latest are the best of the lot". Built using laser profiled panels, with 1 inner and 4 outer tubes. 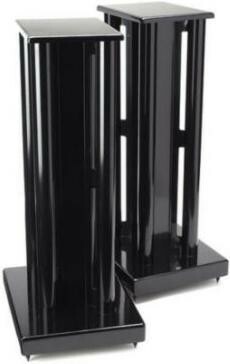 These classy stands are the ultimate audiophile choice, the crème de la crème, at a price that wont break the bank. The Broadsides are incredibly rigid with a clever design that is very effective in dispersing vibrations. Sonic improvements for your speakers include a better soundstage and stereo image, revealing the true potential of your speakers. Are my speakers big enough? 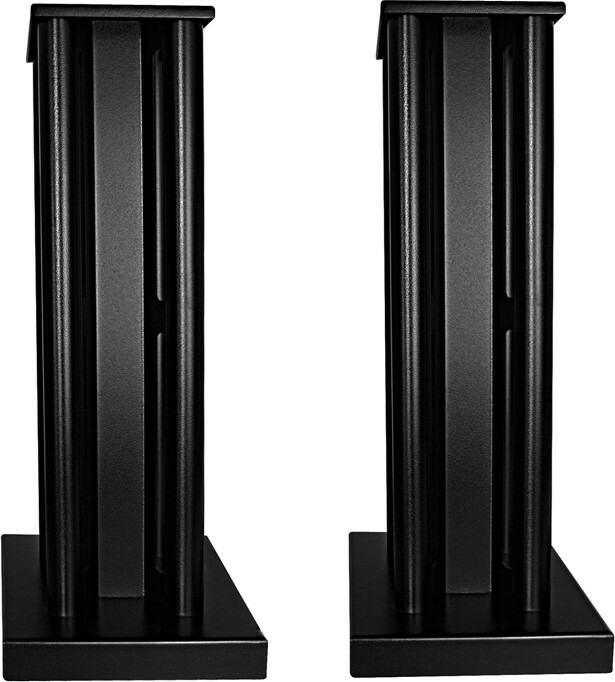 We've used these stands with slightly larger bookshelf speakers from Monitor Audio, Bowers and Wilkins, KEF (e.g. Q300, R300), Dali (e.g. Zensor 3, Opticon 2), ATC (e.g. SCM 11, SCM 19), ProAc (e.g. D2, DB1), etc. These are all only a few examples though, they'll work just as well with any other "slightly larger than usual" bookshelf speakers. For "normal" sized bookshelf speakers, pick the Super Dreadnought. If you're not sure which to choose, you can call or e-mail us for advice. 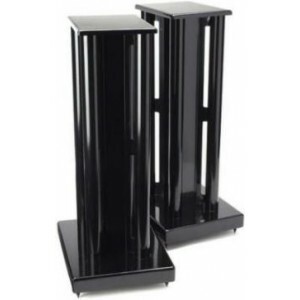 You can fill these stands with Audio Affair speaker stand filler. 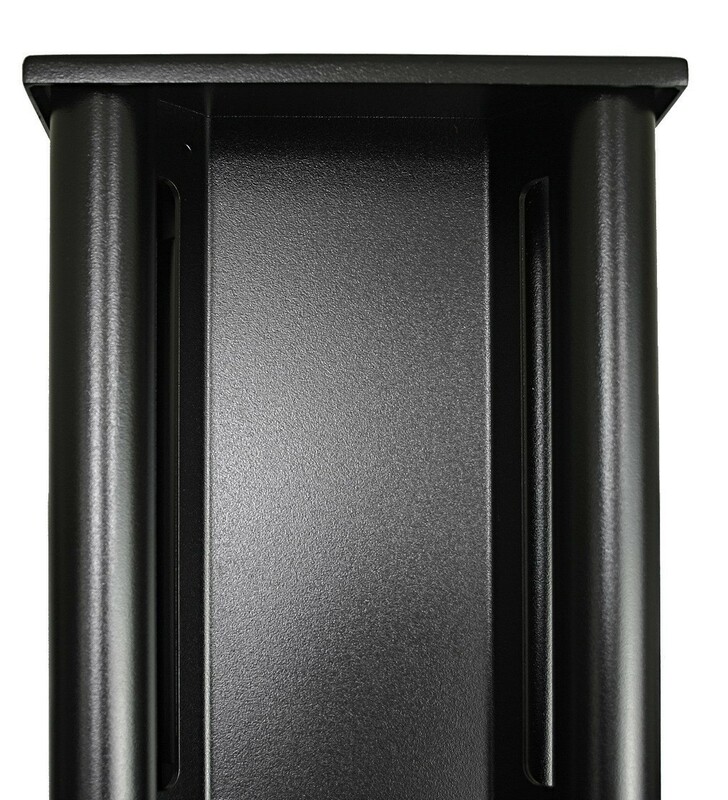 Filling them improves their sound deadening ability (effectively removing any slight "ringing" that can affect the sound quality on non-fillable stands) and this allows you to "adjust" the level of bass response in your room. When they're fully filled bass response will be at its maximum, so we always recommend filling them only half way, listening and then re-filling (and adjusting their position slightly if necessary) until you're happy with the sound and bass response in your room. These stands are also on permanent display in our Birmingham showroom. If you'd like to see and hear a pair in person, feel free to visit for a listen. We stand by the quality of these stands though, so if you order a pair online now, you are covered by our 30 day money back guarantee. If you change your mind, you can return them to us.